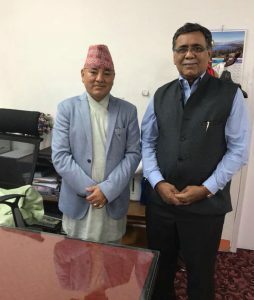 The Executive Secretary of APAARI Dr Ravi Khetarpal met with the Secretary of Ministry of Agriculture, Nepal, Dr Yubak Dhoj GC, on 22 July 2018 in Kathmandu Nepal and they discussed potential areas of collaboration. 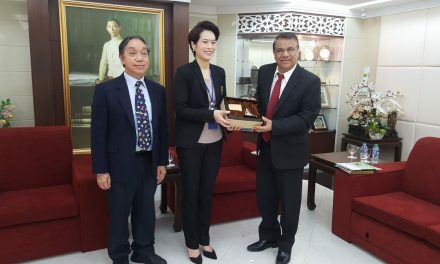 Dr Yubak Dhoj requested for more involvement of APAARI in Nepal, a country which is undergoing its final stage of transformation in agricultural development. He equally assured his full support to APAARI in organizing some of its technical events in Nepal.